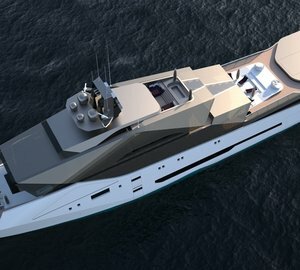 Filippetti Yachts has revealed the first details of their new 32m/105ft explorer yacht concept called the Filippetti E32. 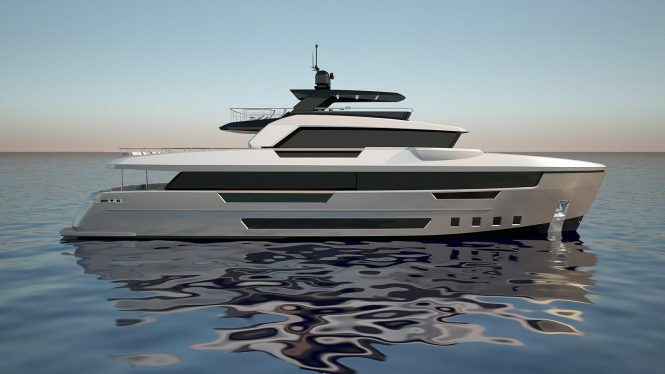 Venetian Yacht Design collaborated with Filippetti Yachts to create the concept, which has attracted significant attention from clients for its form and function. 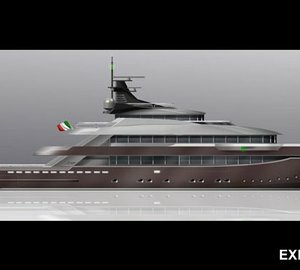 The Filippetti E32 is RINA Code C compliant, allowing it unrestricted navigation and earning it the designation of an explorer yacht. 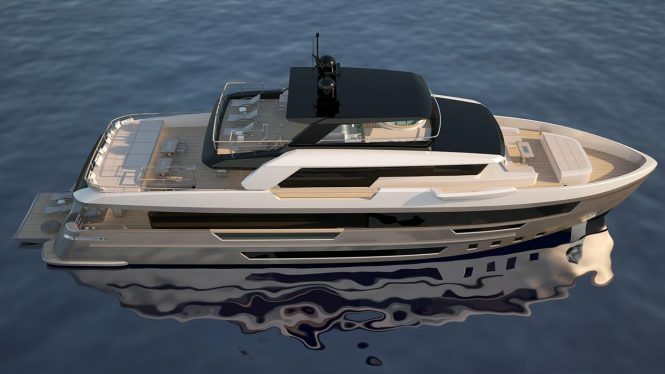 perfectly designed for outdoor entertaining wherever guests may cruise, the sundeck features a spa pool surrounded by sunpads, an aft sunbathing area and a sheltered bar and salon seating for refreshments and informal alfresco dining out of the sun. There is a Portuguese deck on the upper level for breakfast alfresco with sweeping forward views and for formal occasions and destinations where the temperature or winds are not conducive to outdoor dining, there is a formal dining area that seats up to 10 guests forward of the main salon. 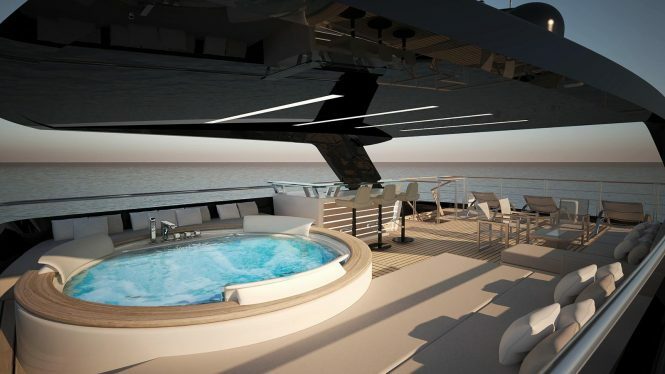 On the lower deck, the side-loading tender garage is positioned aft of the engine room and leaves the stern free for a sun bathing platform and beach club. 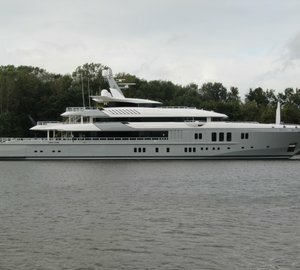 The owner’s cabin is located on the main deck and makes use of the entire 7.8m beam to include his and hers en-suites, a walk-in wardrobe and an owner’s office. On the lower deck, the rest of the guest accommodation comprises two double cabins and two twin cabins for a total of 5 suites to sleep up to 10 guests. The captain is accommodated on the bridge deck while the bow of the ship provides sleeping quarters for 6 crew. Filippetti E32 is capable of a maximum speed of 14 knots using twin 671hp Caterpillar C18 ACERT engines and at 9.5 knots she has an impressive range of 5,000 nautical miles. 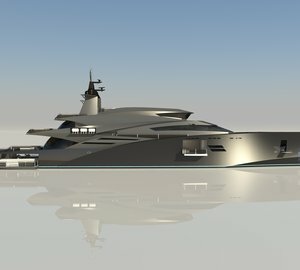 Please contact CharterWorld - the luxury yacht charter specialist - for more on superyacht news item "The Filippetti E32 expedition yacht concept from Filippetti Yachts".